With image becoming a bigger component of the entertainment aspect of mixed martial arts, fighters and promotions need to be more aware of how they are perceived by the public. Paige VanZant is being groomed by the UFC to be a prominent player in its women’s divisions, but recent complaints by fellow competitors threaten to hurt her overall brand. 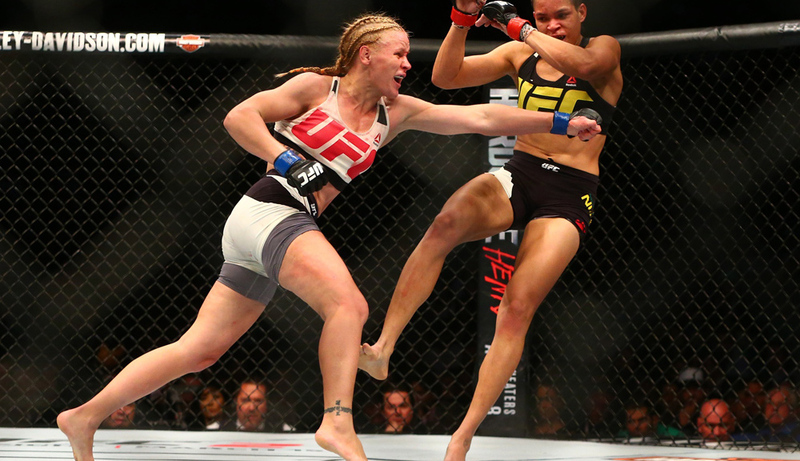 At 7-3, VanZant is a rising prospect in mixed martial arts. After being unable to place her on the cast of The Ultimate Fighter due to her age, the UFC held off on her promotional debut until UFC Fight Night 57. From that point on, however, she was put on the fast track toward a UFC title. With three straight wins -- over Felice Herrig, Kailin Curran and Alex Chambers -- many expected her to become a contender for Joanna Jedrzejczyk at strawweight. 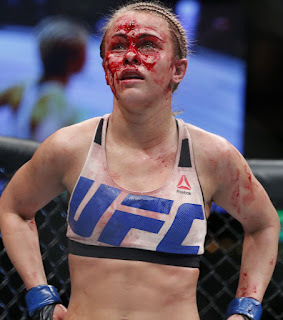 That didn’t happen though, as she dropped two of her next three fights, brutalized by the current 115-pound champion, Rose Namajunas, and submitted by Michelle Waterson. Then, VanZant’s name was included in the discussion about strawweight women looking to move up and join the the flyweight division. As the 125-pound weight class developed, VanZant was booked to face former bantamweight Jessica Eye at UFC 216, but that bout was scrapped due to VanZant dealing with multiple injuries. But then, on November 4, VanZant tweeted that she would face the winner of the Ultimate Fighter Season 26 tournament, which, due to the fact that the winner would be the inaugural UFC Women's Flyweight Champion, meant she would be challenging for the title. That one tweet opened a can of worms that may have a long term negative affect on VanZant’s standing among her peers and in the eyes of MMA fans. First, there was Valentina Shevchenko, who inserted herself into VanZant’s Twitter mentions. The former bantamweight title challenger took umbrage at the idea that VanZant would immediately leap into the title picture, especially coming off of a loss. Then, there was Eye, who was upset that VanZant pulled out of a fight against her, only to be potentially booked for a title fight instead. Shevchenko also refused to mince words. It’s true that VanZant has the potential to be the type of star that the UFC likes to push, especially within the women’s ranks. However, the method of pushing her by giving her opportunities she doesn't deserve isn’t appropriate. VanZant has struggled against elite fighters, and while appearance and promotion are two important factors in a fighter becoming a star, she hasn’t excelled in the performance component of that equation. VanZant would benefit from a slow approach, especially as she’s heading to a new division. Because sometimes the fast track is the one that could easily derail.